I picked this up from a local seller on Sunday. I put it through its paces tonight. Handles pedals great (fuzz, distortion, overdrive, and delay). 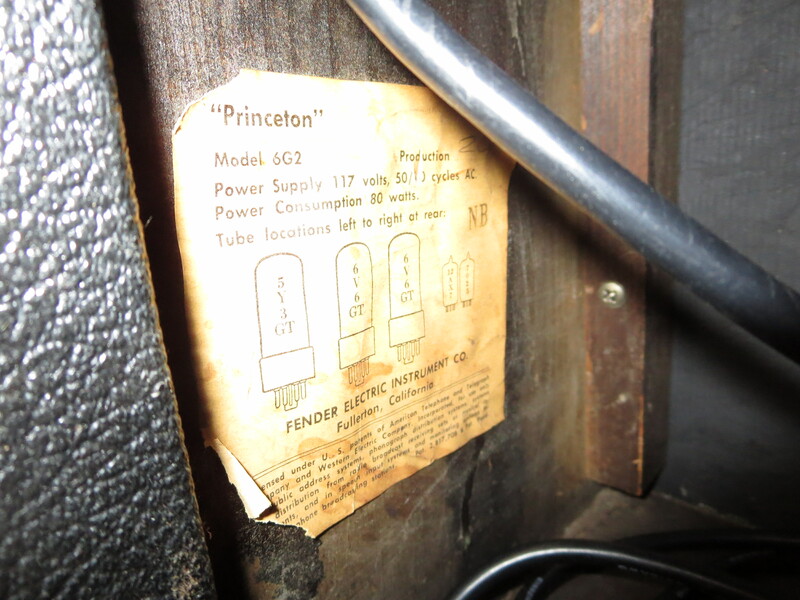 This has the 6G2 circuit, the same circuit as in the 1961-63 Brownface Princetons. The transitional "tuxedo" Princetons are rare because they were only produced for about a year (late 1963- mid 64). 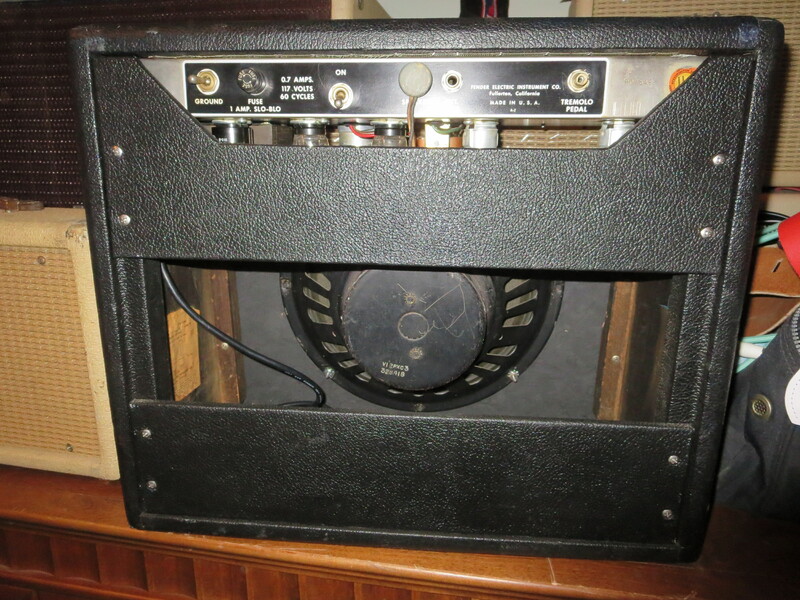 This amp is in great shape - looks good and sounds good. Very quiet and clean. It starts to break up at about volume 7 and gets grittier the further you go. Tremolo works perfectly. 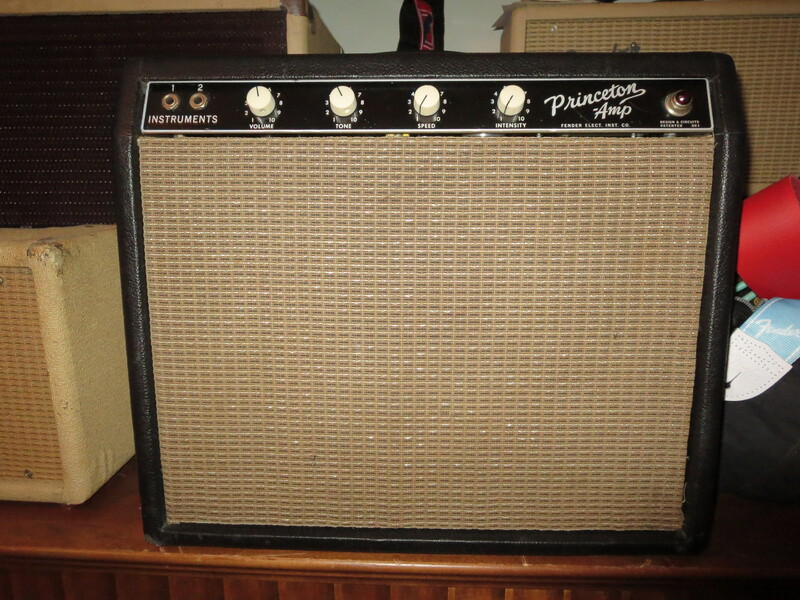 Also sounds outstanding with my '63 Fender Reverb Unit. Tubes: All replaced with old stock USA tubes (General Electric), all tested well in the good range. This era of Fender amp never had an amp Logo but was given white knobs to compliment the "new" black tolex look (aka the tuxedo Princeton). This year was the first year they offered the black tolex. I'll try to get a demo video out soon for anyone interested in hearing it. Thats amazing! 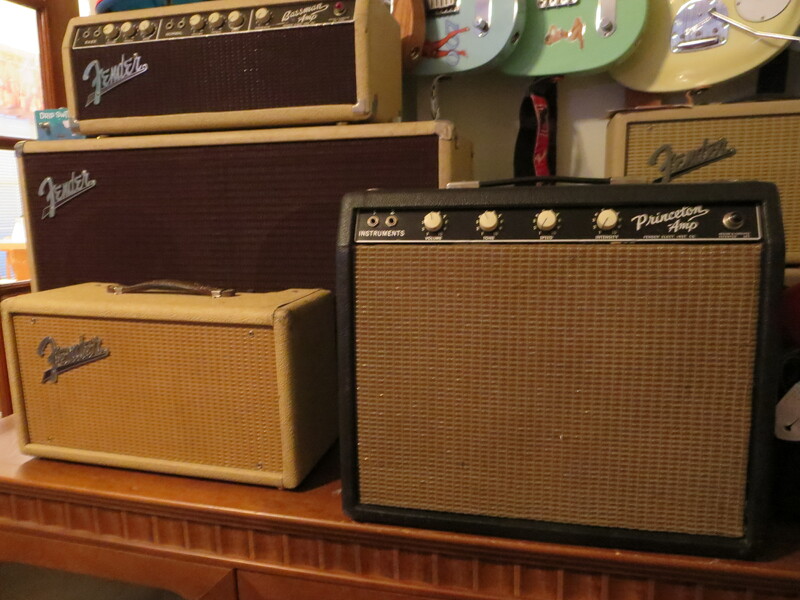 I have that same combo - '64 (January tube chart) Tuxedo 6G2 + blonde Reverb unit (but mine's a '64). Match made in heaven. Love these amps. I had a literal half dozen of these through the years, all brown but I kept my black one because it sounded best of the ones I had and it appealed to me visually, although the brown ones are awesome two. Fun fact, most of the 6g2s have the standard 1Meg volume pot but mine has a 250k. 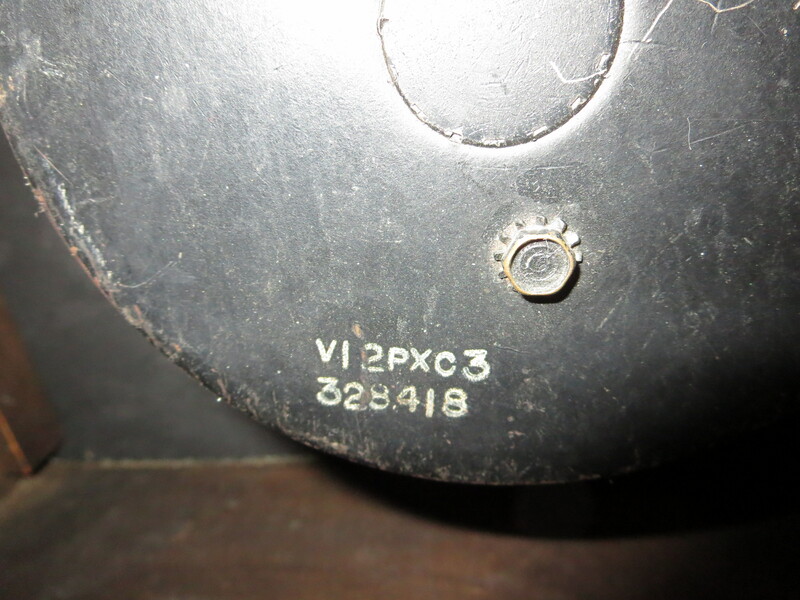 I thought it was a mistake since its not on the schematic or layout from that period. I've noticed a few others from the late, tuxedo era that also have this. Not sure why, maybe they're wanted to tame some highs and volume at the beginning of the sweep. It kinda of attenuates things a bit but never in a bad way. I swapped in a 1M pot to compare and I ended up going back to the stock 250k. It just sounded right imo. 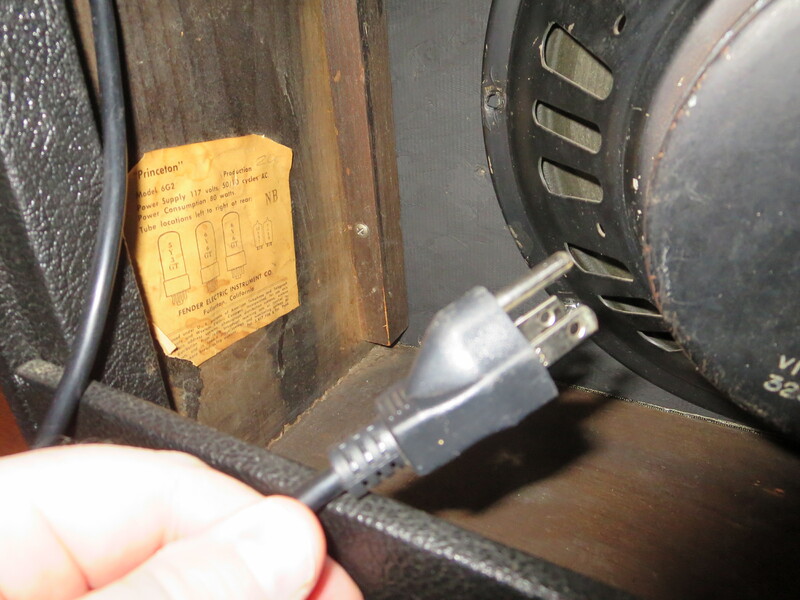 Have you had it or has anyone had it serviced? Original caps? What kind of tubes are you running? Great score! Happy 6G2 day! Wow That's incredible looking! SUPER nice find Surfysonic!!! Thanks! The information I posted originally is all I received from the seller. I think he owned it for a long time. Tubes are General Electric. I haven't had a chance to open up the back for a closer inspection of the tubes but I'll post the info here when I can. I picked this up from a local seller on Sunday. When are we going to hear some surf?!!! I'll work on a surf demo video on Friday and put it up as soon as possible. Thanks! 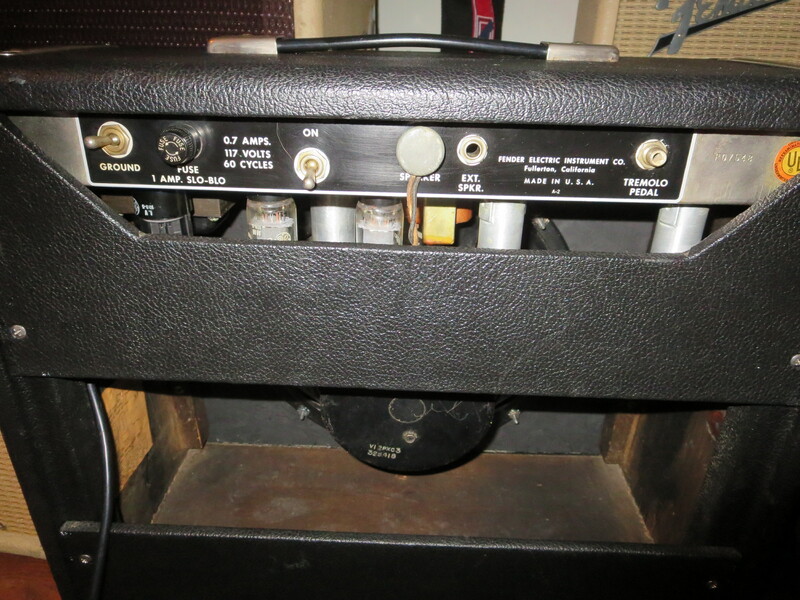 I have a set like that too, both from '64, but someone took the blonde reverb tank, and painted it black, and the cloth silver, probably to match their blackface amp, I just think it's funny, 'cause now it goes well with both my tuxedo Princeton, and my blonde Bassman stack. The speaker in mine was swapped out for a Weber, but I got the original in the deal too, if I ever want to see if I can get it re-coned. i would like to see a return to the tuxedo style someday. also, that thing looks clean as hell. That's lovely! Enjoy it in good health!